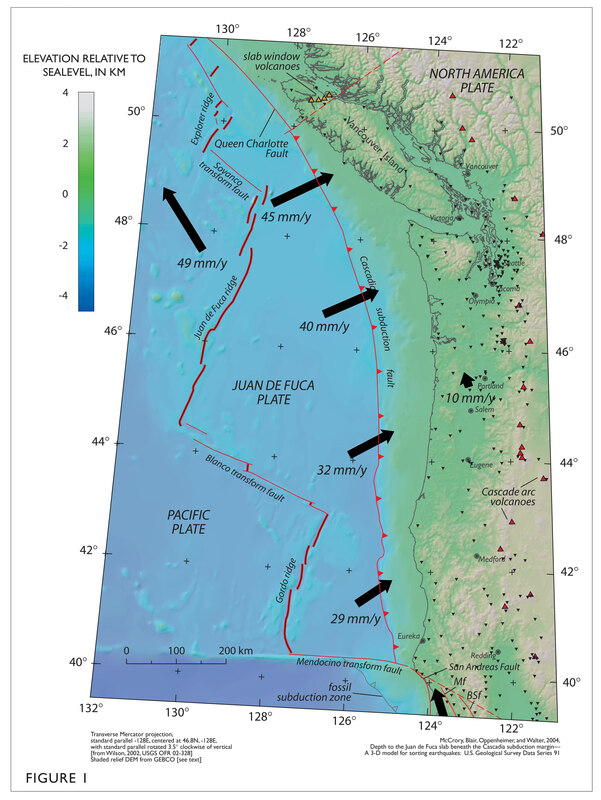 I recently collected a core with a thick sandy deposit that is hypothesized to be the sedimentary deposit that was the result of tsunami deposition following the 1700 A.D. Cascadia subduction zone earthquake. Here is my post about that core. Here is a composite of the two cores that I collected. The top of the core is on the left. Some interpret this to be the 1700 AD tsunami deposit. 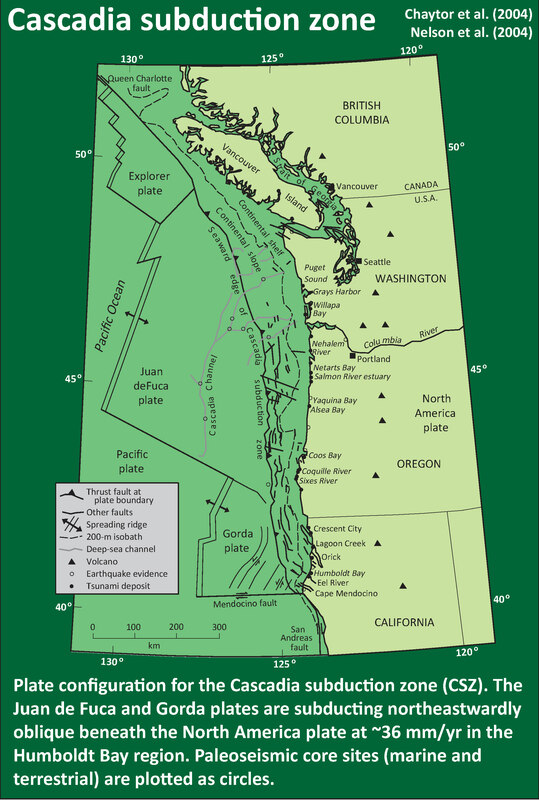 Earlier this year was the 315th anniversary of the 1700 AD Cascadia subduction zone earthquake and tsunami. 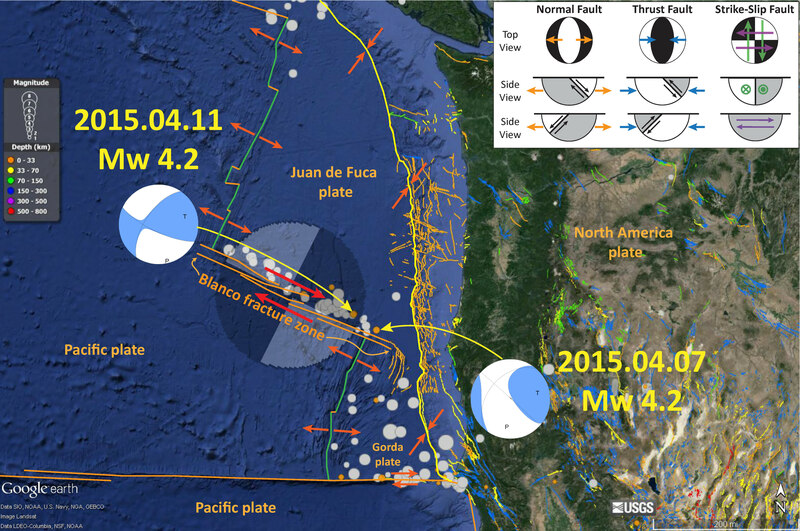 I compiled some information about that earthquake and tsunami. 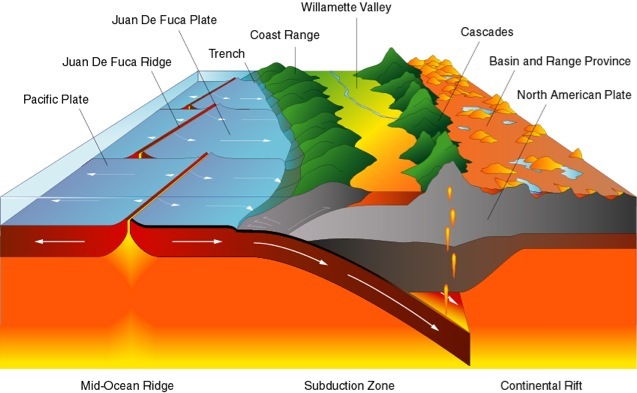 I included some information about the plate tectonics of the region. Here is the post for that anniversary. 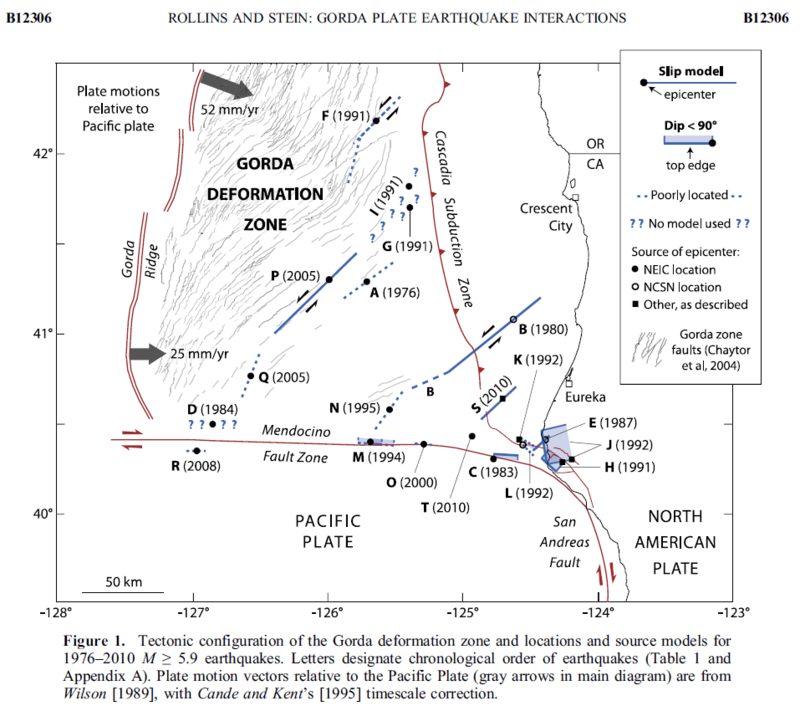 The Gorda plate is deforming due to north-south compression between the Pacific and Juan de Fuca plates. There have been many papers written about this. The most recent and comprehensive review is from Jason Chaytor (Chaytor et al., 2004). 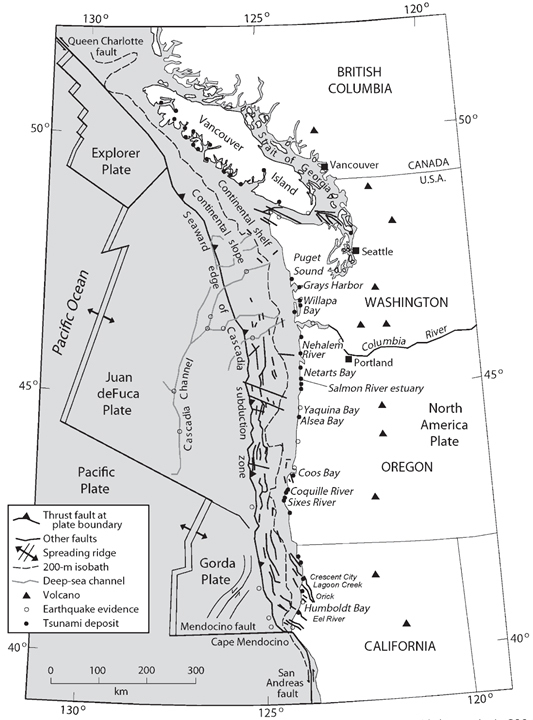 Here is a map of the Cascadia subduction zone, as modified from Nelson et al. (2006) and Chaytor et al. (2004). I have updated the figure to be good for projections in a dark room (green) and to have the correct sense of motion on the two transform plate boundaries at either end of the CSZ (Queen Charlotte and San Andreas faults). McCrory, P.A., 2000. 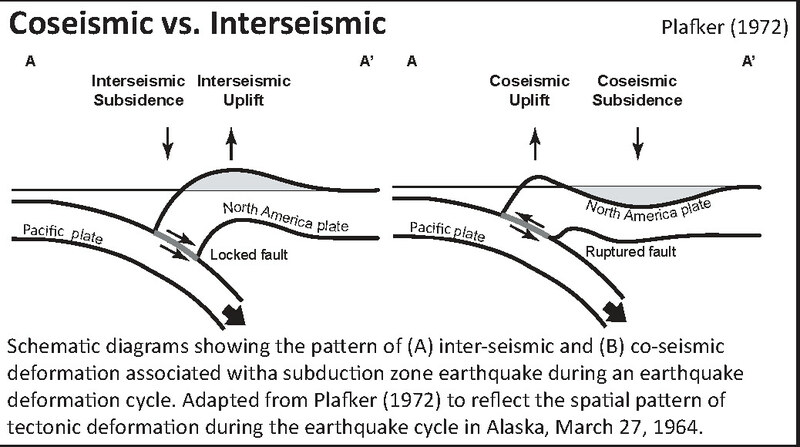 Upper plate contraction north of the migrating Mendocino triple junction, northern California: Implications for partitioning of strain: Tectonics, v. 19, p. 11441160.